Buy top quality Shop Fittings & Shop Fittings Supplies for your retail store. 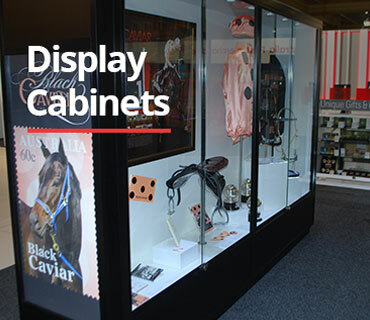 Visit our showrooms in Sydney, Melbourne or Brisbane to discover top quality custom-made display cabinets. 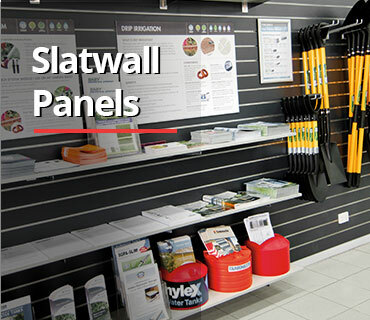 We also offer exceptional value for money in slatwall, slatwall display units and retail shelving systems. Call now for a custom quote or buy online! Showfront Shop Fittings – Premium Quality, Unbeatable Value! Create a stunning retail display and maximise sales with Showfront’s superb range of premium quality shop fittings and shop fitting supplies. Adaptable, durable and superbly crafted, Showfront retail display systems are designed for the needs of retail chains and independent retailers alike. Ask the experts at Showfront to create a superb shop display for you. 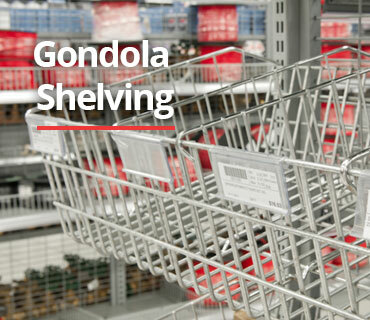 Looking for a top quality gondola shelving system? Showfront’s single-sided display gondolas and double-sided display gondolas offer superb value for money for the budget conscious retailer. Designed for excellent flexibility and durability, our adjustable metal gondolas come in two heights (1605mm and 2205mm) and depths (300mm and 400mm). Our display gondolas are ideal for convenience stores and smaller independent retailers looking to maximise their floor space. The MR-25 range comes in mesh back, plain back, no back, hole back and slatwall with a variety of accessories. Call 1300 99 36 36 to find out more. View our Customer Testimonials, buy fully assembled, ready-made display cases online now, or call us to discuss your requirements. Increase sales and create a stunning visual display for your merchandise with a Showfront Retail Display Kiosk. Kiosk design and manufacture is a Showfront specialty. Catering for the independent retailer with a single custom kiosk to mass roll-outs of shopping centre kiosks on a national scale, the experts at Showfront can provide a solution for you. Click here to find out more about Showfront’s capability as a retail kiosk manufacturer. Showfront can offer a complete shop-fitting service. Whether you are opening a new business or simply need a “makeover” for an existing business, Showfront can help you with a design and retail fit out that will capture the attention of your customers. Over two decades of shopfittings expertise separates Showfront from other shop fittings suppliers. Capable of supplying shop fitting solutions on any scale, Showfront provides high quality shop display fit-outs from independent retailers to multiple roll-outs at a national level. Talk to Showfront about shop fit-outs today. Compare the difference in price and quality - visit a Showfront showroom in Sydney, Melbourne or Brisbane. 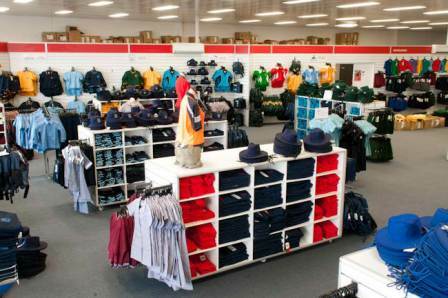 Buy your shop fittings direct from Australia’s leading Shop Fittings Supplies company today. Buy online now or call our friendly team on 1300 785 694.